The Painted Hills, with their layers of red, yellow, gold, brown and black, represent millions of years of history. Given the way these hills mark time, Devin and Trianne rightly figured they would provide the perfect backdrop for celebrating the new year. So on December 31st they headed off in the van called Tumalo. The Painted Hills are considered one of the Seven Wonders of Oregon. Tumalo is the eighth! 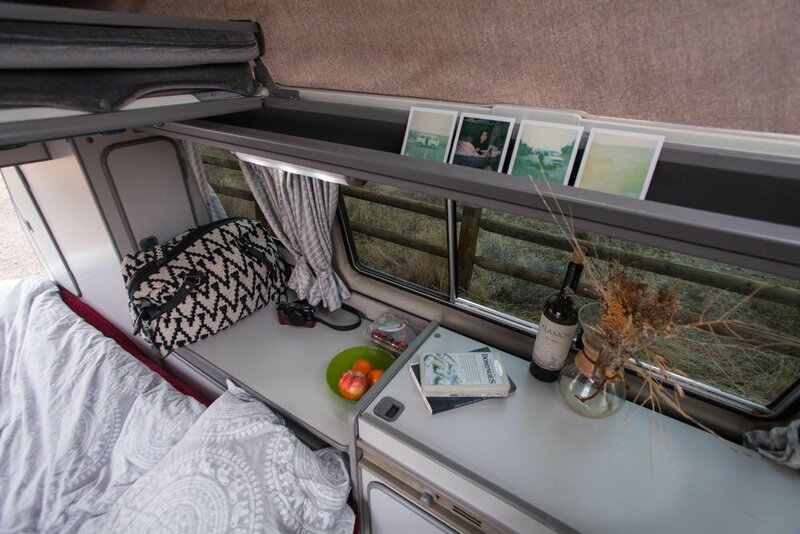 A 1987 Vanagon Camper that will turn heads as you drive down the road, Tumalo has recently had a few updates that make it a very comfy home on the road. 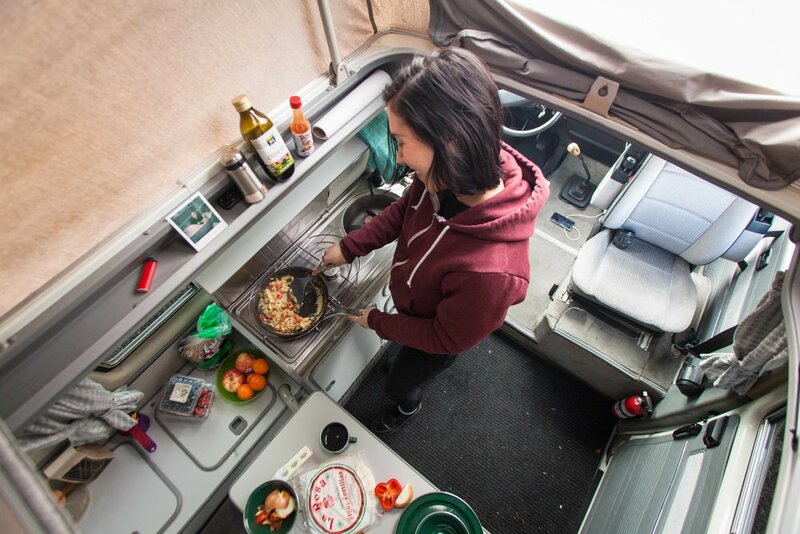 A brand new battery runs some very key accessories, including the stereo, and a new propane furnace keeps the inside nice and comfortable when sleeping on cold nights. Tumalo also boasts a new refrigerator to keep those beers cold. Devin and Trianne headed to the Painted Hills via 206 to the more scenic 19. The approach is magical. You'll follow the John Day River as you enter the John Day Fossil Beds National Monument. Summer can be scorching, but a trip in the fall and winter has its own special rewards as the hiking, bird watching, and sunset viewing in the area are unparalleled. 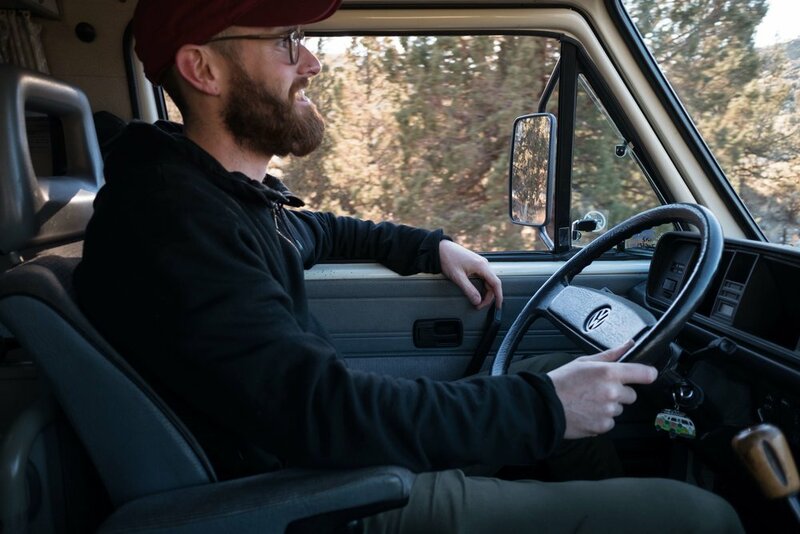 For an adventure of your own any time of year, consider taking the Scenic Byway; the skies will seem huge and the views will stretch for miles as you head along majestic rivers, through small rural towns, and over rolling hills. Better yet, bring bikes. Tumalo can be outfitted with a bike rack so you can travel some of the Byway using pedal power. You'll often have the road to yourself in Eastern Oregon. To reserve Tumalo, simply click here or the Reserve Now link above.